The sun is shining and Berlin is taking off that old grey winter coat! It’s the perfect time to get out of your studio and draw, chat, and booze together. 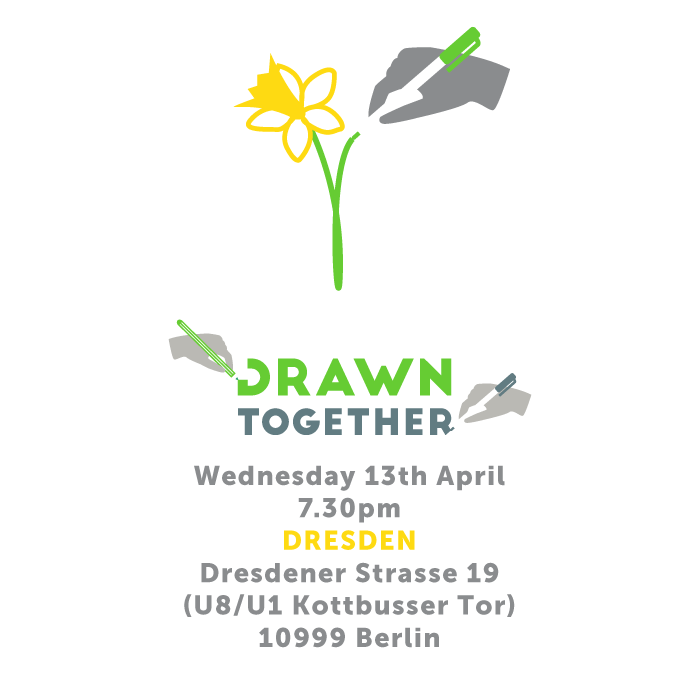 Come along to the first spring Drawn Together, hosted by Judith from Illustrators Illustrated, and meet some other illustrators and illustration enthusiasts!